You have selected 0 adult , 0 children and 0 infants. Welcome to Holiday in Med Airport Transfers, we provide cheap and reliable one way or return taxi or private transfers from Dalaman Airport (DLM), Antalya Airport (AYT), Bodrum Airport (BJV) to many popular holiday destinations like Oludeniz, Hisaronu, Fethiye, Kabak, Butterfly Valley, Kalkan, Marmaris, Gocek, Sarıgerme private properties etc. Our resevation system will help you to find your resort, hotel, location or airports. The booking system on our website for airport transfer is easy and you can complete your reservation under 5 mins. In 3 easy steps. During the booking process reservation system will ask your passenger number so you can choose the best transfer option up to your pax. Please read transfer types before booking airport transfers (Taxi Transfers - Private Transfers - Mini Bus Transfers) so you can save up time and money. 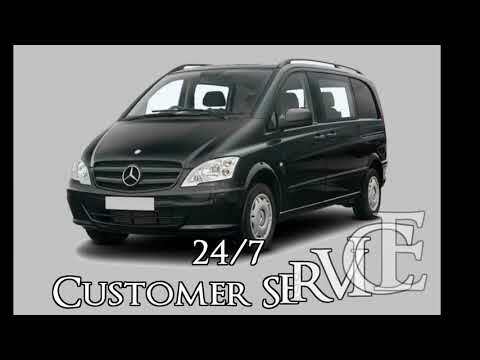 Note: we mostly provide taxi transfers by private van ( Mercedes or Volkswagen ). Taxi or Private Dalaman Airport Transfers, Private Oludeniz Airport Transfers, Private Hisaronu Airport Transfers, Private Kalkan Airport Transfers, Dalaman private transfers, Dalaman Transfers. Reliable & Safe | Secure Booking | Door to door | 24/7 Costumer Support | Pay on arrival or Online | Professional drivers | No hidden fees etc. You can choose the Taxi Transfers up to 3 pax and you won't share your transfer car with another passenger(s) so you can save up time and money. As long as you do not want, driver won't stop on the way from/to Dalaman Airport or other airports. sometimes we do send mercedes van what you see on your voucher for airport transfer, you will pay this amount. We provide the low cost taxi transfers from Dalaman airport, Bodrum airport, Antalya airport to many famous holiday destinations. Oludeniz Taxi Transfers - Hisaronu Taxi Transfers - Marmaris Taxi Transfers - Calis Taxi Transfers - Kalkan taxi Transfers - Sarigerme Taxi Transfers. You can choose the Private Transfers up to 4-6 pax and you won't share your transfer car with another passenger(s) So you can save up time and money. As long as you do not want, driver won't stop on the way from/to Dalaman Airport. We do send mercedes van or volkswagen (new and clean). Holiday in med operates the low cost Private transfers from Dalaman airport(DLM), Bodrum airport, Antalya airport(AYT) to many famous holiday destinations. Private Oludeniz Transfers - Private Hisaronu Transfers - Private Marmaris Transfers - Private Gocek Transfers - Private Kalkan Transfers - Private Sarigerme Transfers - Private Calis Transfers. You can choose the Mini Bus Transfers up to 7-14 pax and you won't share your transfer car with another passenger(s). So you can save up money and time. As long as you do not want, driver won't stop on the way from/to dalaman airport or other airports. You transfer mini bus will Mercedes or Volkswagen (new and clean). Holiday in med operates the low cost Mini bus transfers from Dalaman airport(DLM), Bodrum airport, Antalya airport(AYT) to many famous holiday destinations. Oludeniz MiniBusTransfers, Fethiye Mini Bus Transfers, Kalkan Mini Bus Transfers, Hisaronu Mini Bus Transfers, Marmaris Mini Bus Transfers, Gocek Mini Bus Transfers, Sarıgerme Mini Bus Transfers. Book your Taxi or Private airport transfers from Dalaman Save up! - 24/7 Costumer support - Best Price ! Why book airport transfers with holidayinmed.com? You can call our office 24 hours a day, 365 days a year. We are ready to help you. Booking online is easy and only takes 5 mins. Safe payment system. Changes and cancelations are free of charges up to 48 hours before the transfer. Fully insured transfer vehicles (D2 Licence). Qualified and experienced drivers.